Former WBO Welterweight world champion Jeff Horn scored a devastating first round knockout over former IBO Middleweight world champion Anthony Mundine on Friday night at Suncorp Stadium in Brisbane, Australia. Horn, who was returning to the ring following losing his Welterweight crown to Terence Crawford in June of this year, also returned to the site where he defeated future Hall of Famer Manny Pacquiao on July of last year. Unlike the decision victory he scored over Pacquiao, which some saw as controversial, Horn, now fighting in the 160lb. Middleweight division almost immediately saw his opening and took full advantage. Horn started the fight by immediately putting pressure on the forty-three year old Mundine. A mix of body punches and a flush overhand right put Mundine on the defensive. The end came when Horn landed a flush left hook to the chin of Mundine sending the former world champion down and out on the canvas. Official time of the stoppage was 1:36 of round one. Jeff Horn advances to 19-1-1, with 13 Knockouts. Anthony Mundine falls to 48-9, with with 28 Knockouts. 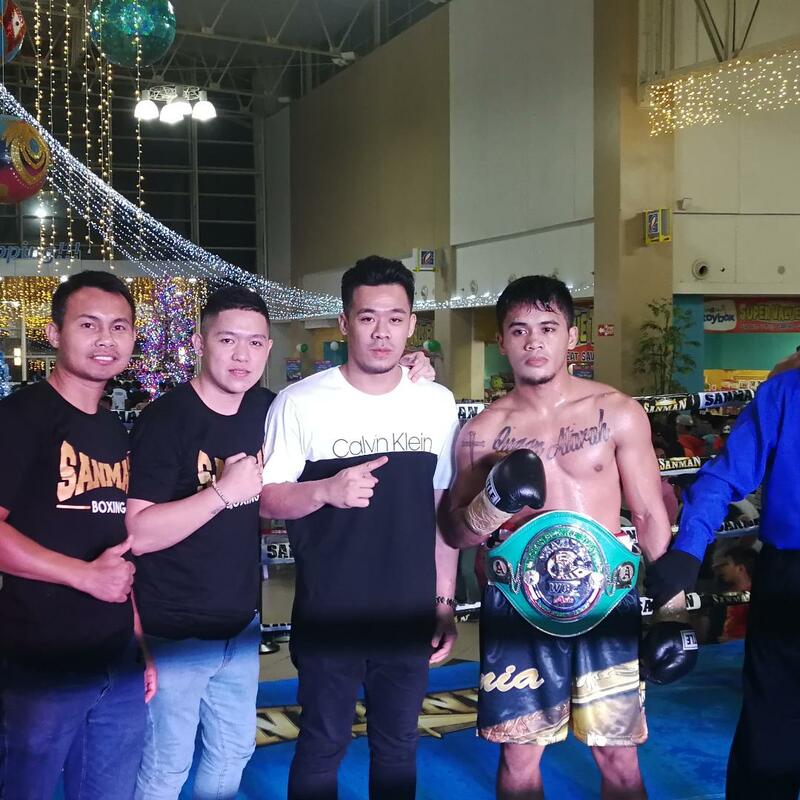 Press Release: November 27, 2018 (Originally released November 26, 2018) by Sanman Promotions – As romised, it was an action packed night (November 25th) at the Robinsons Mall Atrium in General Santos City as the result of the Brawl at the Mall unfolded. 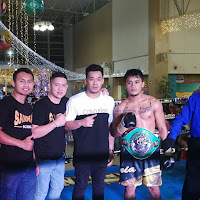 In the main attraction, WBC Asia Super Bantamweight champion “Magic” Mike Plania (W17 KO10 L1 D0) easily dispatched countryman Renan Portes in the opening salvo. Plania relentless attacked his opponent upon the opening bell trying to land that big shot. 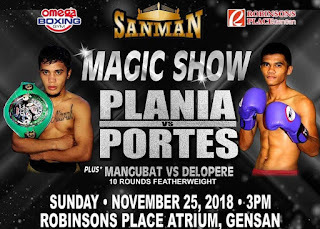 Upon seeing an opening, Plania dug a thunderous left hook to the body which sent Portes down to the canvass for good and sealing another KO victory to his promising record. “Mike was impressive, 2019 will be a big year for Magic Mike”, a delighted Jim Claude Manangquil, Sanman CEO told the media. A bout for the WBA Light-Heavyweight world championship headlines the Boxing schedule on Thanksgiving weekend 2018 as undefeated WBA world champion Dmitry Bivol will make the third defense of his championship against former WBC/IBO Light-Heavyweight world champion Jean Pascal on Saturday night at the Hard Rock Hotel and Casino in Atlantic City, NJ. The fight, which will be televised here in the United States by HBO Sports presents a classic youth versus experience scenario. Dmitry Bivol has in a short period of time established himself as a rising star in the 175lb. Light-Heavyweight division. The twenty-seven year old Bivol earned interim/regular champion status in the WBA's Light-Heavyweight ratings in April of last year with a fourth round knockout of Samuel Clarkson. Following the retirement of then unified WBA/WBO/IBF world champion Andre Ward, Bivol was named WBA world champion. Since being named world champion, Bivol has defended his crown successfully three times in including a twelve round unanimous decision over longtime top contender Isaac Chilemba in his last fight in August of this year. The undefeated world champion will face what on paper appears to be a stern test in the form of former WBC/IBO world champion Jean Pascal. The thirty-six year old Pascal has been a cornerstone of the division for several years and will enter the bout with Bivol having won his last two fights including an eighth round knockout of Steve Bosse in July of this year. Pascal has experienced the ups and downs that normally come with most careers in the sport having faced many of the top Light-Heavyweights of his era including Chad Dawson, Bernard Hopkins, Sergey Kovalev, and recently crowned undefeated WBO world champion Eleider Alvarez. While he has not always come out on top in those fights, Pascal has shown his mettle and his skill level in those bouts. Pascal has only been stopped twice in his forty professional fights in being stopped in his two encounters with Sergey Kovalev in 2015 and 2016 respectively. Despite Pascal’s credentials and experience in coming into this fight with a solid record of 33-5-1, with 20 Knockouts, the question that will be asked of him in this fight will be at thirty-six years old whether or not he can face and defeat a world champion, who is an emerging star in the sport as Dmitry Bivol. Although the champion, who will enter the fight with a record of 14-0, with 11 Knockouts, is going into this fight with a theoretical disadvantage in terms of experience, he is likely to be viewed as the favorite. Bivol has stopped nearly 80% of his opponents in his career and has the type of punching power that is a threat at any stage of the fight. Stylistically, the challenger Pascal is a fighter who has an athletic unorthodox style who is capable of throwing punches at odd angles and making it difficult for an opponent to get into a rhythm. Whether or not Bivol will look to implement a steady pressure attack with the intention of trying to break Pascal down as the fight progresses is a question that will probably be answered in the early stages of the fight. What will be of interest to me in this fight will be if Pascal is able to have success early in the fight, whether he will be able to maintain a quick pace and be able to evade Bivol for the duration of the twelve round world championship bout. Pascal has had success against fighters like Bernard Hopkins and Sergey Kovalev, but has also shown to become fatigued as a fight enters the middle and late rounds. If Pascal can find a way to evade Bivol early, it is crucial in my eyes that he also control the pace of the fight so he theoretically will not tire as the fight goes into the middle and late stages. In terms of what this fight could mean for the winner as far as their standing in the Light-Heavyweight division going into 2019, the winner is likely to be in a position where possible unification bouts could be made. With longtime WBC world champion Adonis Stevenson preparing to defend his title on December 1st in Quebec City, Canada against undefeated mandatory challenger Oleksandr Gvozdyk and WBO world champion Eleider Alvarez preparing for his rematch with former two-time Light-Heavyweight world champion Sergey Kovalev in early 2019, an argument could be made that the position of the Light-Heavyweight division’s number one fighter is very much up for grabs. 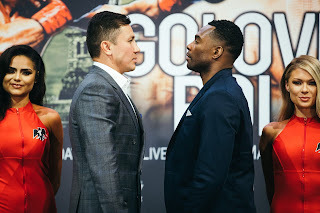 We will see how Dmitry Bivol and Jean Pascal might fit into the equation of the long-term landscape of the division going forward when the two square off on Saturday night. Bivol vs. Pascal takes place on Saturday, November 24th at the Hard Rock Hotel and Casino in Atlantic City, NJ. The fight can be seen on HBO in the United States beginning at 10PM EST/PST and will be available on delay on the HBO Go and HBO Now apps. Check your cable/satellite listings for time and channel in your area. For more information about HBO please visit: www.hbo.com. In the United Kingdom and Ireland, the fight can be seen on Boxnation beginning at 1:30AM (Sunday, November 25th local UK Time.) For more information about Boxnation please visit: www.boxnation.com. Check your local listings internationally. Press Release: November 20, 2018 by Sanman Promotions – Sanman Promotions is back with another action-packed event entitled BRAWL AT THE MALL: THE MAGIC SHOW coming on November 24, 2018 at the Robinsons Mall Atrium in General Santos City. 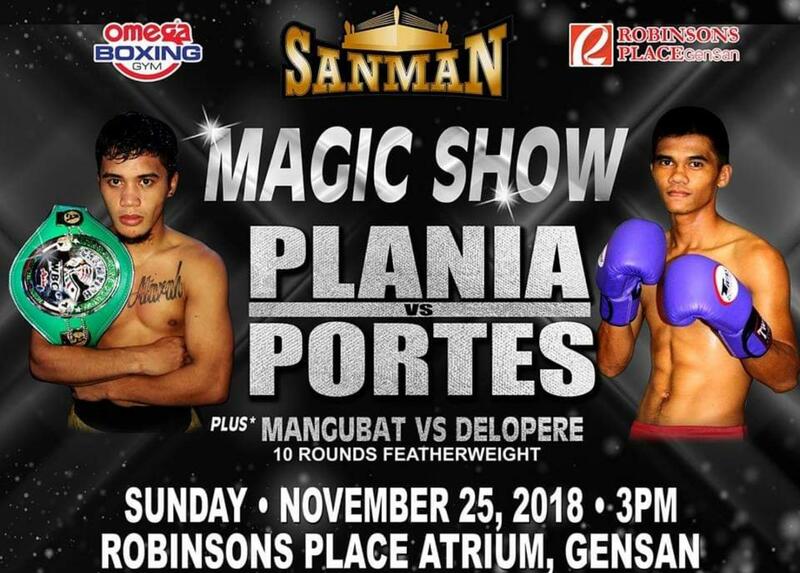 The main card will feature Sanman’s top super bantamweight contender Magic Mike Plania (W16 KO9 L1 D0) fighting Renan Portes (W10 KO 6 L8 D0) in a ten-round non-title clash. November 24 is Sanman Honcho JC Manangquil’s birthday. “This is my birthday treat to all our supporters and boxing fans. I promise you an action-packed night and nobody should miss the event", Manangquil said.